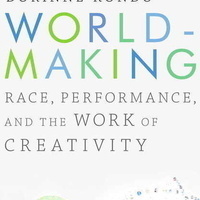 Save the date for this special book signing event celebrating Worldmaking: Race, Performance, and the Work of Creativity by Dorinne Kondo (Professor of American Studies & Ethnicity and Anthropology). This event includes a presentation of the book along with a live performance of scenes from Kondo's play SEAMLESS. More details to come...hope to see you there!